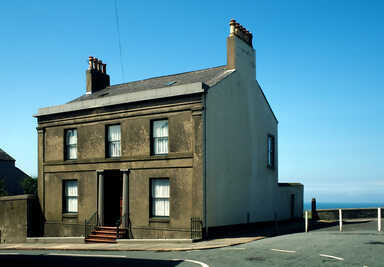 Alba House in Maryport (a Grade II Listed Building) was our ancestral home on my Mother's side. It passed out of our hands in the year 2000, after over 120 years of being owned by the family. An on-line photographic tour from the end of that era is available below. Since that time, the building appears to have had a full internal refurbishment, judging by photographs seen on a property Web Site when Alba House went back up for sale in 2014. Clicking on any of the images in the tour will lead you to a full-size version of the picture.